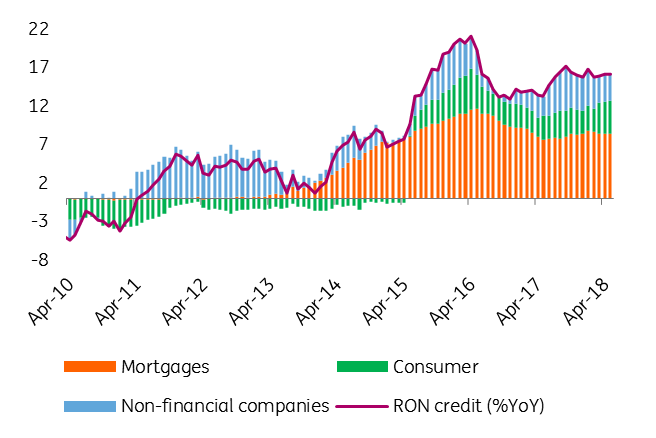 The share of RON in total lending reached a new all-time high at 64.7%, as higher interest rates have yet to fully take their toll on new credit production. 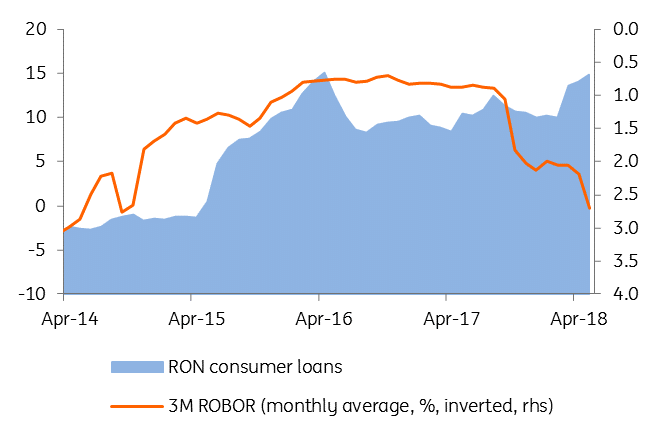 The star of the month is again consumer loans in local currency, which expanded by 3.7% month on month but, surprisingly, mortgage loans also posted a 2.8% MoM increase. While consumer loans are more resilient to the rising interest rate environment (because most of them are fixed rate) the acceleration in mortgage loans (which are floating rate) could be at least partly attributable to some 'fear-of-missing-out' sentiment. 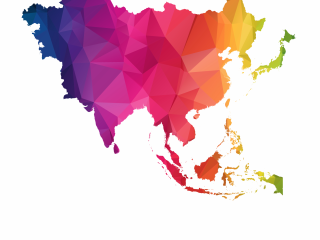 The central bank has initiated discussions to curb RON lending via macro-prudential measures, such as lowering the cap on debtor’s debt-to-income ratio. In fact, we suspect that some part of consumer loans is being taken to cover the up-front payment for a mortgage, a pattern we’ve seen before in 2007-2008 as the access to credit was getting more and more difficult. On the corporate side, we saw a small deceleration from 2.7% YoY to 2.4% YoY, as RON lending expanded by a modest 0.6% MoM, not enough to offset the FX lending (adjusted for RON appreciation) which contracted 2.4% MoM. Once again, data shows that central bank tightening hasn’t had much effect on slowing down lending. This supports the idea of some NBR Board members that the recent economic expansion was “not credit driven”. On the other hand, the macro-prudential measures currently discussed will probably hit new production heavily. The timing is definitely less than perfect as it overlaps with a GDP slowdown, higher inflation and a shaky fiscal position.